Being a food blogger sometimes has some major perks. Like opening my door to a box full of bags of free Pretzel Crips. Awesome. After mowing my way through a few of the packages, I decided it would be cool to cook with the pretzels in a different way. 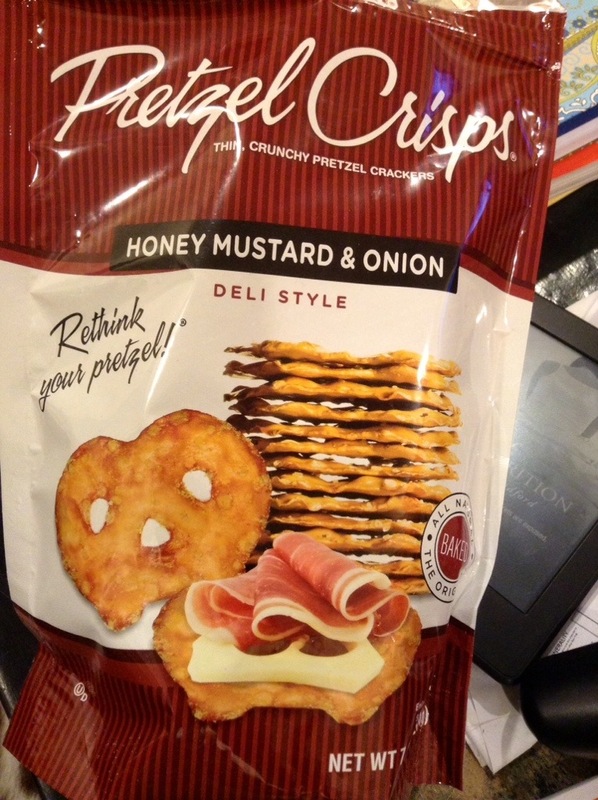 What’s a better way to use pretzels than to bread some thinly sliced pork cutlets? With a simple arugula salad, this is a quick and easy meal for any night (even cinco de mayo!). Using the mustard flavor compliments the pork and the pretzels are a nice crunch that can be hard to achieve with regular breadcrumbs. Grind the Pretzel Crips in a food processor until crushed. Heat some oil in a pan over medium heat. Pound cutlets til nice and thin, the dip in the flour, then the egg (beaten), and then the Pretzel Crisps. Place cutlets in the hot oil in the pan and cook for about 3 minutes per side, being careful not to let the pretzels burn. Meanwhile, take the cherry tomatoes and arugula and dress how you would like (personally, I like olive oil, lemon juice, salt and pepper). 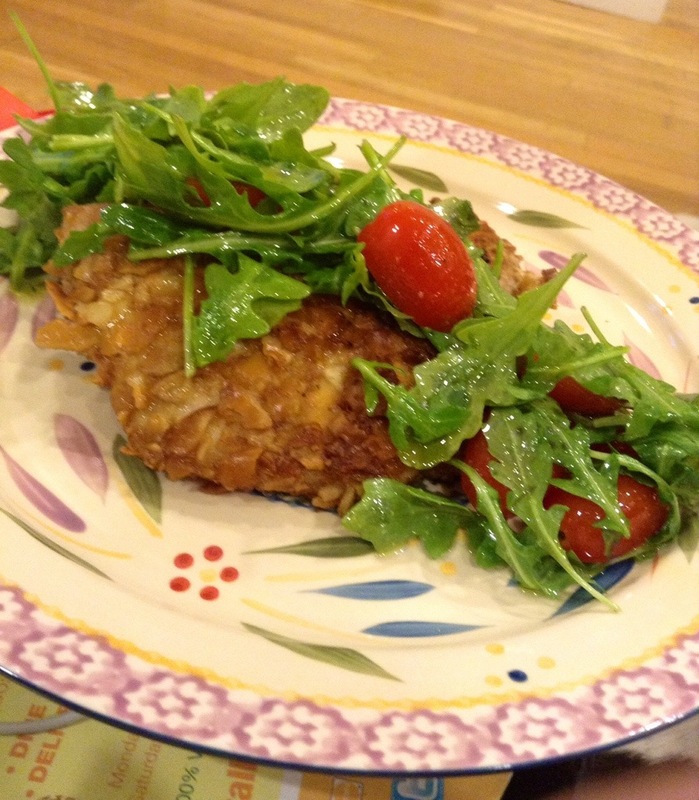 When the cutlets are done, top with the salad and serve.